Three brands at SI Yachts were awarded for outstanding contributions, execution, and partnerships. Boat builders work hard. 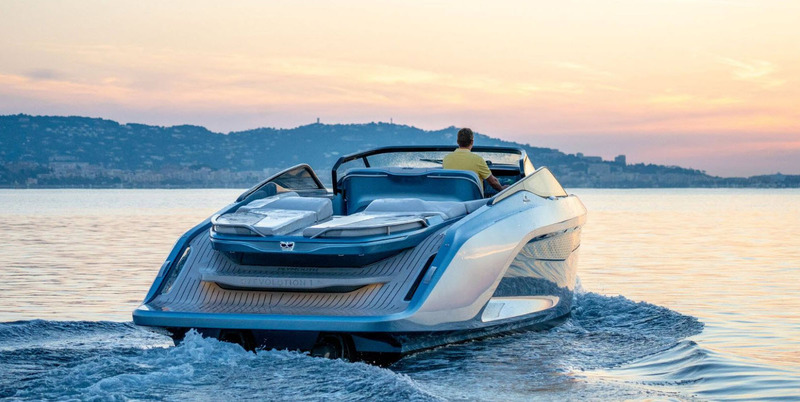 To create a boat and produce it on a large scale that meets safety standards and owner demands takes collaboration, partnerships with vendors, the expertise of dozens of individuals, and of course, the capital to make it all happen. That's why each year in November, builders from around the world come together with their teams to celebrate our industry and the achievements made by those who excelled throughout the year. Started in 2015 by METSTRADE and IBI, or the International Boat Industry Magazine, the annual Boat Builders Award recognizes these companies for their efforts in a widely attended awards ceremony at the Maritime museum in Amsterdam. There are many categories in which to win an award such as recognition in dealer development, innovative on-board design solutions, as well as environmental developments for clean manufacturing. 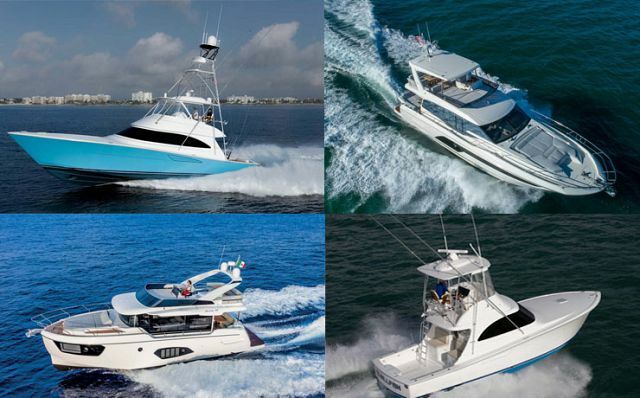 At SI Yachts, we have always been proud to have the best collection of premium new yacht brands available in the Northeast with builders like Viking Yachts, Princess Yachts, and more. This ability to provide the best boats in the world for our customers is key to our success and why we have been in business since 1964. We are happy to announce that three of our new boat brands won big at the recent 2018 Boat Builder Awards. Princess is known for designing and developing high-end luxury motor yachts that push the envelope in style, function, and performance. But they are also pretty creative at getting the word out! The new Princess R-35 is a departure from the normal boat to come out of the British factory that grabs headlines and it was because of this uniqueness that the Princess team wanted to try something different. There was so much to talk about with the new R-35; the fact Princess designed a day-boat, the top speed of 50 knots, and the Princess Active Foil System (AFS) for improved handling and efficiency. In one of the most intriguing marketing campaigns in the industry, Princess dressed the new R-35 in a "Dazzle Camouflage" while testing it on the open water. In a previous post on the Princess R-35, we discussed the Dazzle Camouflage and how it made its impact, " In the early 20th century, an art student named Norman Wilkinson developed a marine camouflage while serving as an officer in the British Royal Navy. The Dazzle Camouflage idea is designed to confuse rather than conceal. The geometric designs were actually credited with saving many lives during World War 2 by making it difficult for the enemy to gauge the speed, size, and direction of British ships. The Princess team sought help from third year art students at the Plymouth College of Art to design what the wrap would look like. The students took inspiration from Norman Wilkinson's original concept as well as used ideas from modern day illusionists." 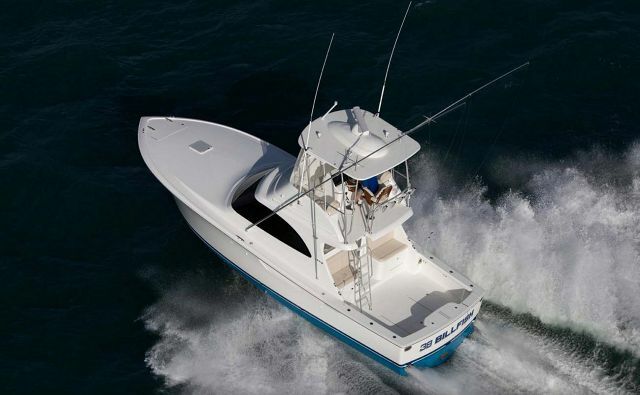 A the recent Fort Lauderdale Boat Show, the Princess R-35 finally made her world premiere, along with the new Princess F-70, to a stunned crowd. 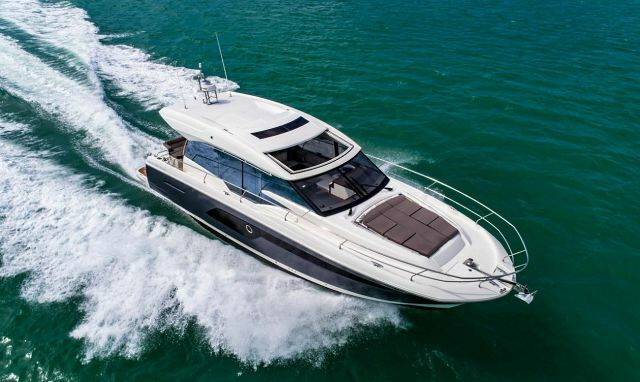 Demand has been high for the boat with potential owners looking at it as a fun day cruiser, but also potentially a unique tender aboard their larger motor yacht. With such high expectations for the R-35, the marketing team at Princess knew that the launch campaign must be equally exciting. 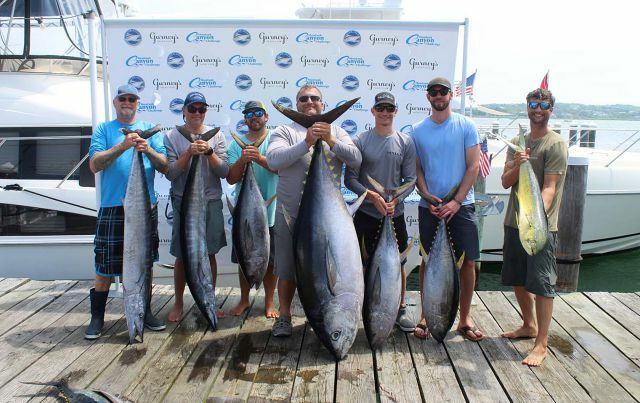 The Boat Builders Award in this category called for "imaginative and effective ideas for the promotion of new boat sales in print, online, video, or social media campaigns." And by the looks of it, Princess once again succeeded. As one of the largest and most successful production boat builders in the world, Prestige Yachts is constantly pushing the boundaries in their design, construction, and usability of their models. This unrelenting effort and passion trickles down, of course, to their vendors who are held to the same standards with their products. Lewmar, a U.K.-based marine supply company, has established itself as a leader in marine glass used in luxury yachts. Offering a full range of high-quality glass products like powered windows, curved glass, and sun roofs, as well as their proximity to the Jeanneau factory where Prestige is built, made them a perfect supply partner. Seen below is the Prestige 590 Flybridge and its aft cockpit with Lewmar-supplied glass. The award for the Collaborative Solution is described as when a "Boat builder and business partner joint nominees will have co-operated closely to produce an enhancement, solution or service to meet an owner's needs or solve other requirements of a new build or substantial refit." For Prestige, this referenced the innovative electric vertical drop window that greatly enhances the owner experience on board their models. "Attractive design and perfectly integrated, it combines an aluminum anodized frame with external stainless steel finish. Thanks to this truly hybrid system, the window is easy-to-use by the owner onboard and allows an optimized integration by the shipyard team," said a Prestige press release. And by just looking at the aft cockpit of the Prestige 590 Fly, we can see that the glass is already being put to use. Absolute Yachts has been receiving many accolades lately, including a recent Motor Boat Award for the 58 Flybridge. But it was their process of building the boats as opposed to one particular model that brought home an award for Absolute. Nominees for the "Innovation In A Production Process Award" are said to have made changes, both large and small, to improve production processes and overall efficiency. Tangible benefits and results must be shown as a result of the changes made such as cost savings, enhanced quality, or increased safety for their employees. Absolute Yachts has always been known as having one of the most innovative, cutting-edge shipyards in the world. The technology used in the Italian factory, such as advanced 3D modeling systems, has led to stunning new models like the Navetta 48. The one process called ISS, or Integrated Structural System, that describes Absolute's lean manufacturing efficiency that was spotlighted at the recent awards. ISS is a state-of-the-art work process that integrates all of the activities in a specific stage of boat production into one efficient and optimized system. It is this forward-thinking mentality and execution of ideas that gave Absolute Yachts the edge over the other nominees.